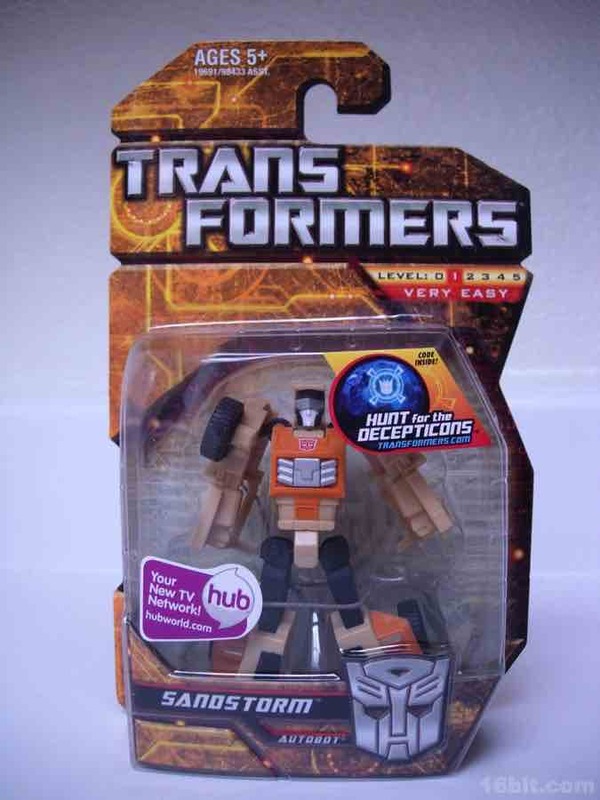 Little toys are important too, and Hasbro has done all sorts of things with its "Legends" scale toys-- for example, it's a great easy way to update characters that haven't had a new toy in years like Sandstorm, a G1 Triple-Changer. 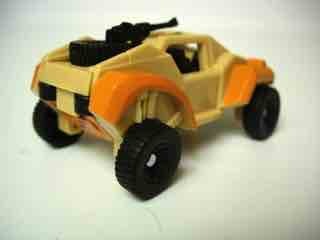 The original toy had a Targetmaster sidekick and three modes... this one is a Beachcomber repaint. 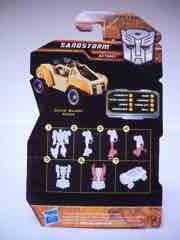 Since it's a redeco of a hard-to-get mold, and this toy is pretty easy to find, you might want to go ahead and get it. This redeco of Universe Beachcomber is pretty good-- there are no new parts, and the simple transformation remains. 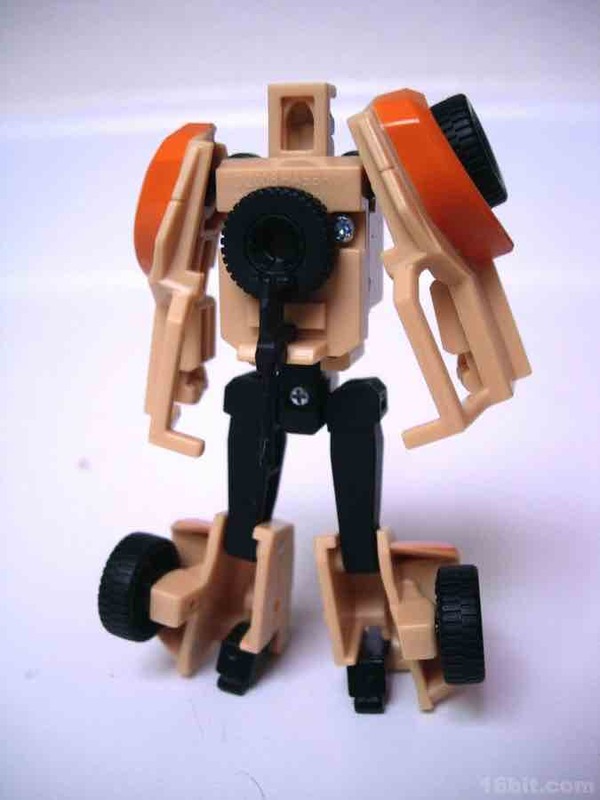 Fold back the arms, push down the head, fold back the feet, and you're done-- it's a nice, easy toy with no real accessories to speak of. 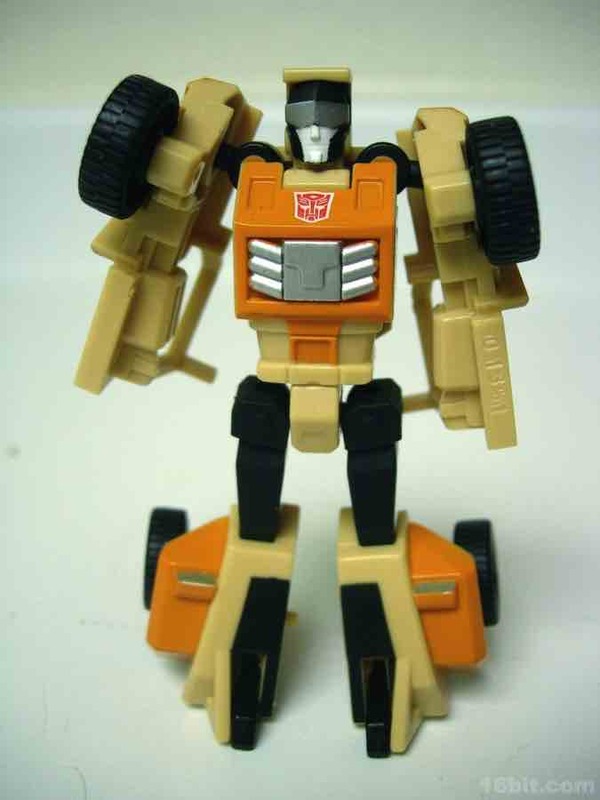 The gun in car mode is removable, but he can't hold it or anything, so don't bother taking it off. 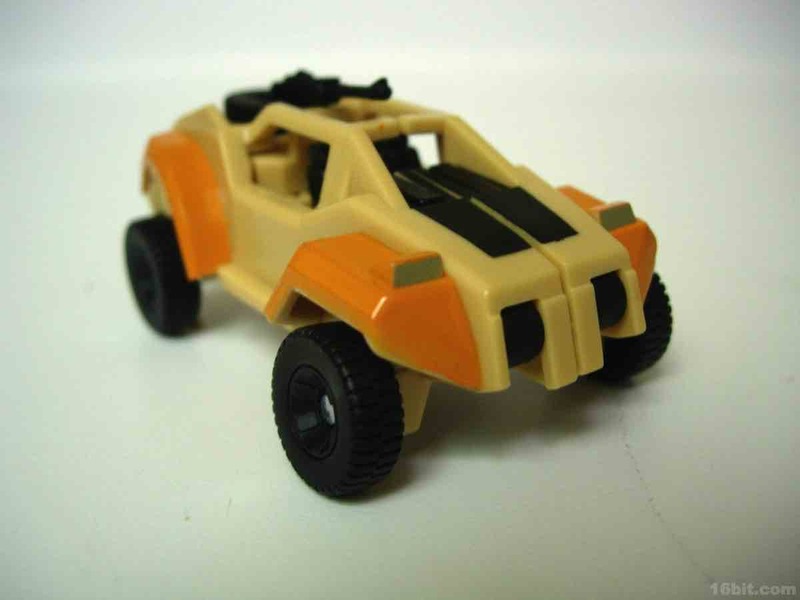 In car mode, his wheels roll nicely and he looks a little more like a Warthog from Halo than a dune buggy. The original toy could turn into a dune buggy or a helicopter, so hey, you lose a mode-- it's also a lot cheaper and a much simpler toy. 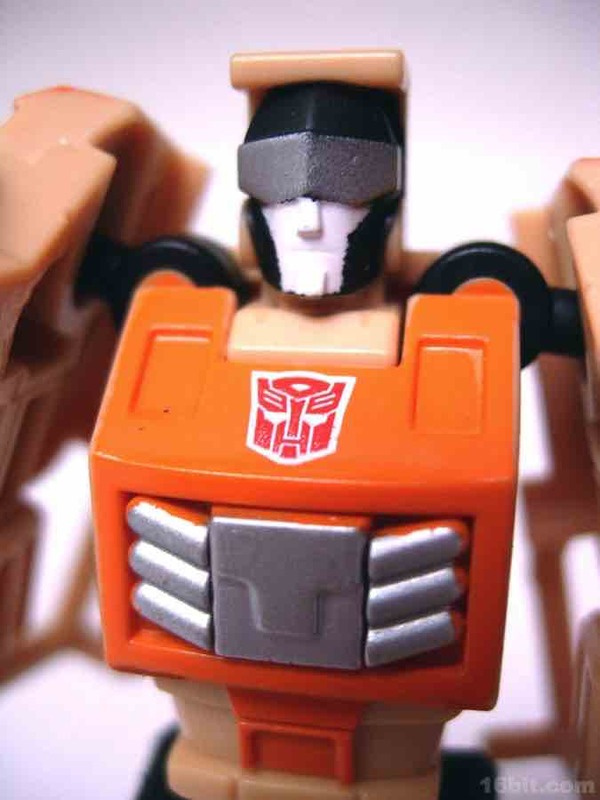 In robot mode, the figure has articulated shoulders, hips, and knees, making it a nice toy to fiddle with while someone calls you on the phone and won't shut up about whatever it is they want to try and sell you or whatever. In short, it's an ideal desk accessory and sturdy enough that your kids might enjoy it. 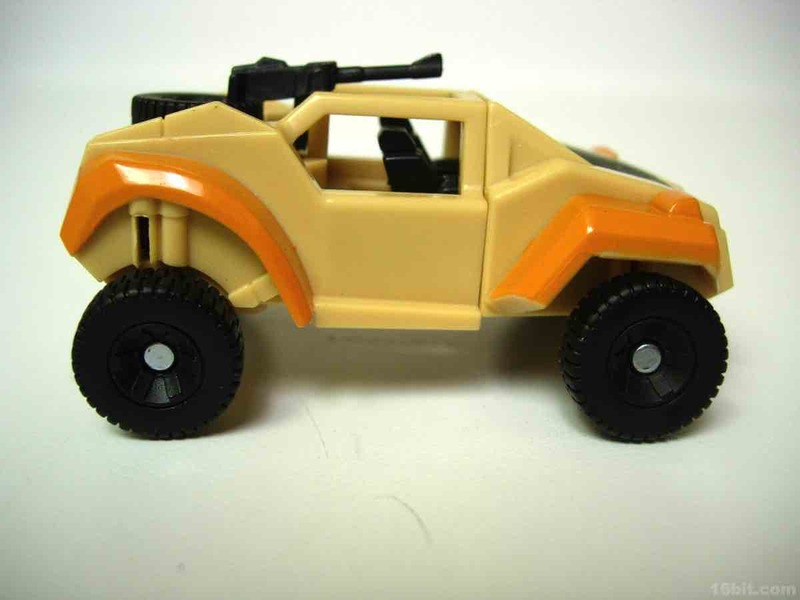 For $5 you really can't go wrong. 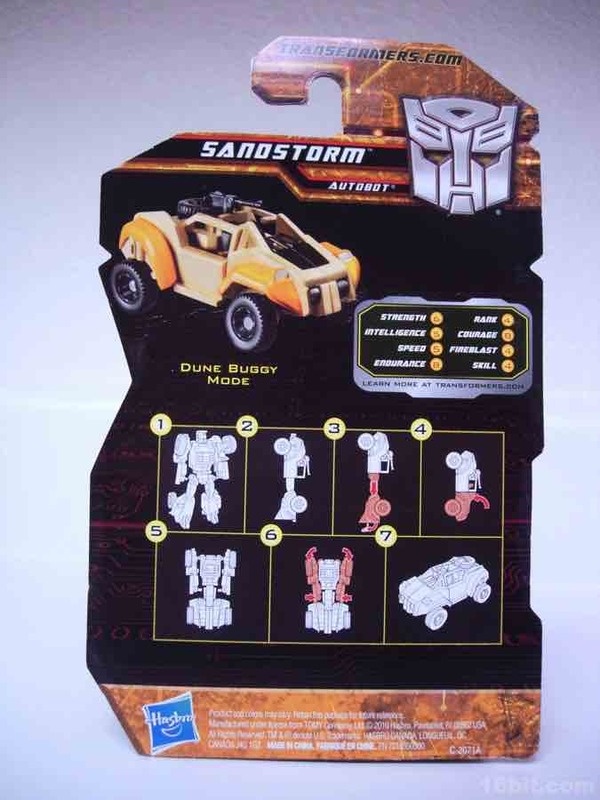 It's well-done and while it barely resembles its namesake in anything but color, it's not like Hasbro has another Sandstorm planned any time soon. 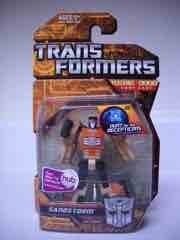 Get it if you can, especially if you missed out on Universe Beachcomber from 2008.